One year ago, the Warwick Hollywood opened on Sunset Boulevard. A club offering craft cocktails, when it first opened the decor included floor to ceiling photographs of naked women and dark leather couches with an all-white upstairs room. 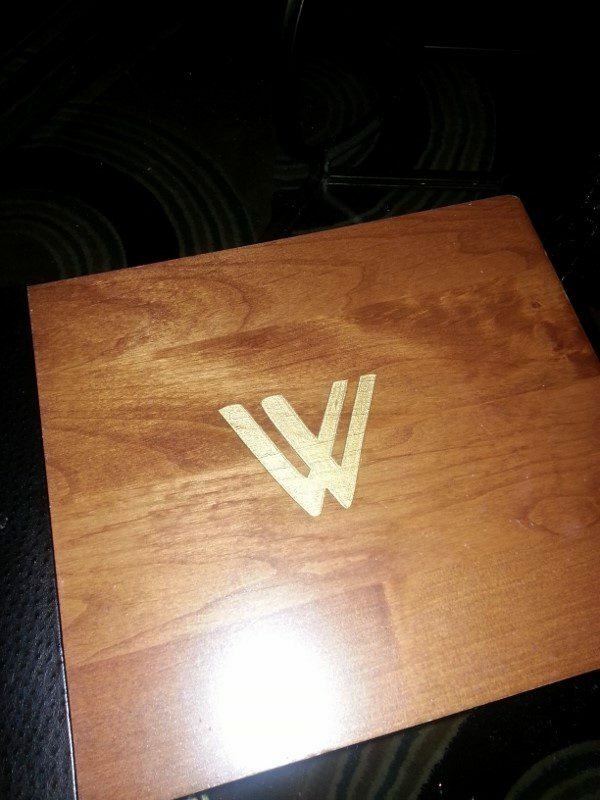 Then, in June, the Warwick opened the doors with beach resort interior including new furniture and beach umbrellas. And now the Warwick has changed their look again. This time it’s Film Noir. 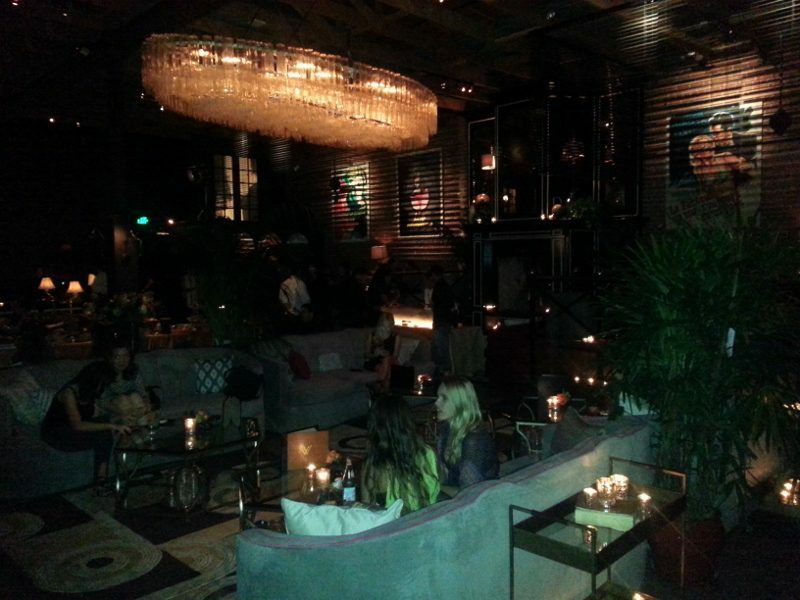 Everything has changed……from the couches to the rugs to the chandeliers. 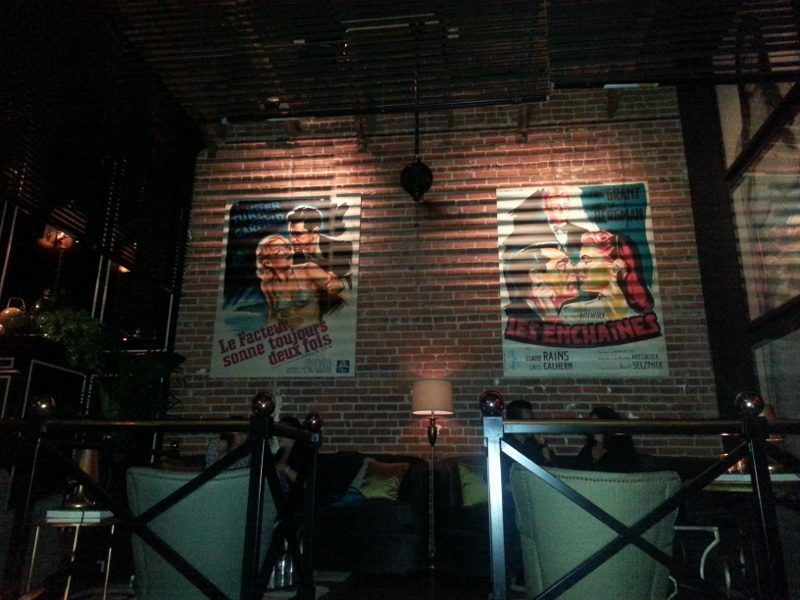 An art deco theme, 1940’s movie posters line the walls. 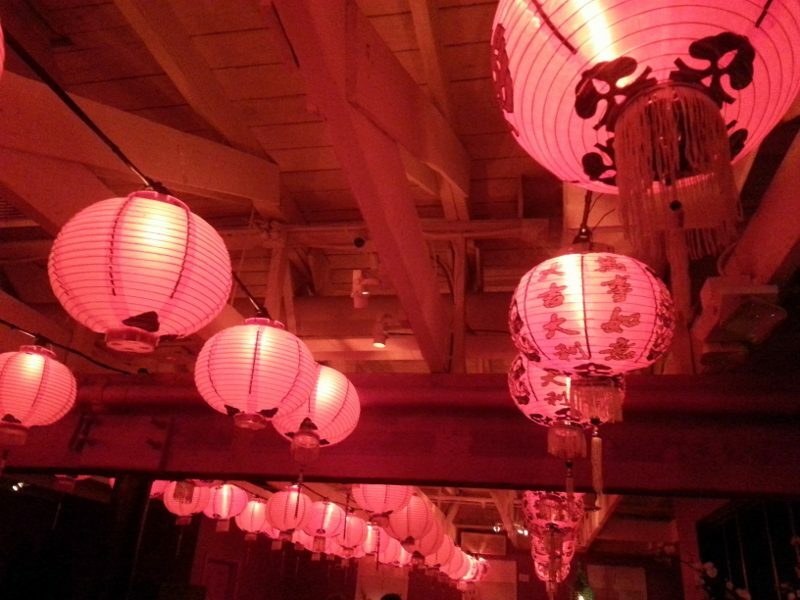 And the upstairs has been converted to a 1940s Chinatown painted in red with hanging lanterns. 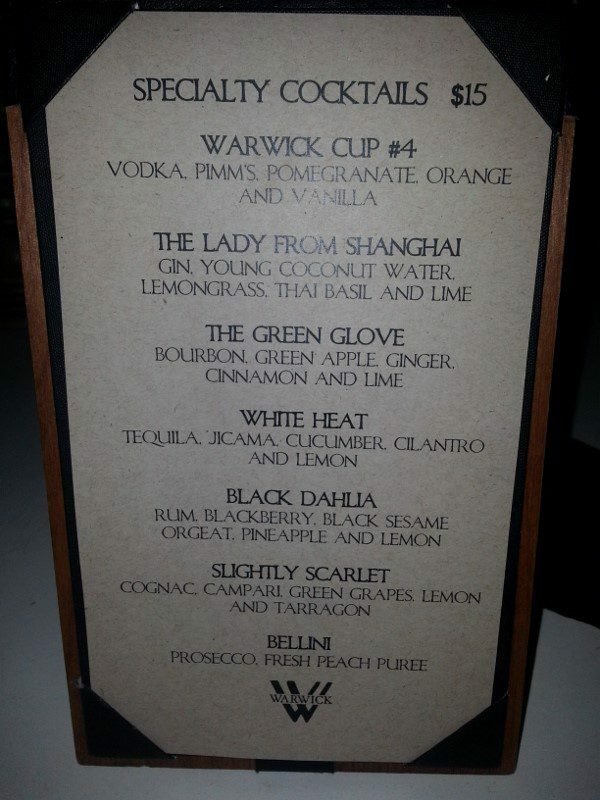 With the new decor, comes a new cocktail menu, crafted by Jason Bran and Damian Windsor. We tasted through all of the cocktails and had a couple favorites. The Green Glove made with bourbon, green apple, ginger, cinnamon and lime. The spiciness of the ginger with the brightness of the apple and lime balanced beautifully with the warmth of the bourbon and cinnamon. 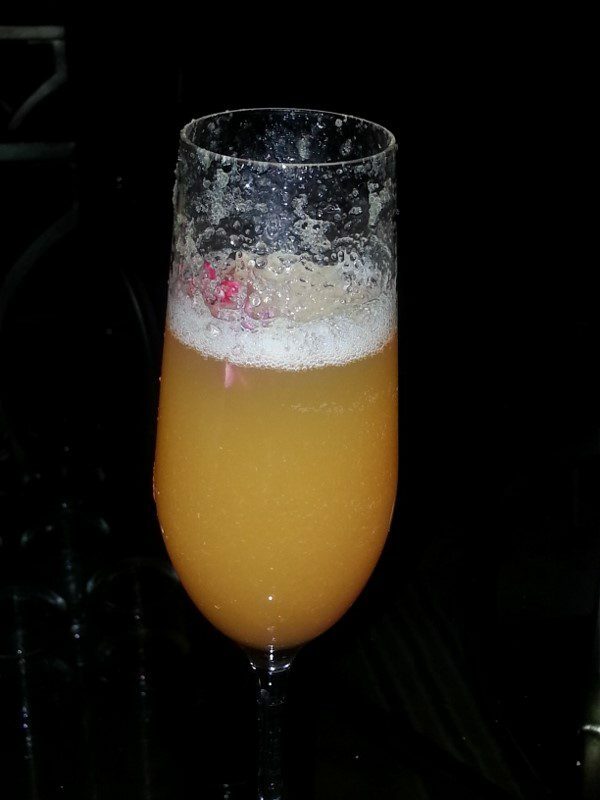 The Bellini is a classic, made with Prosecco and fresh peach puree. But, the ripeness of the peaches added a richness to the drink. Enjoy the film noir Warwick now because six months from now they are bound to reinvent themselves yet again. 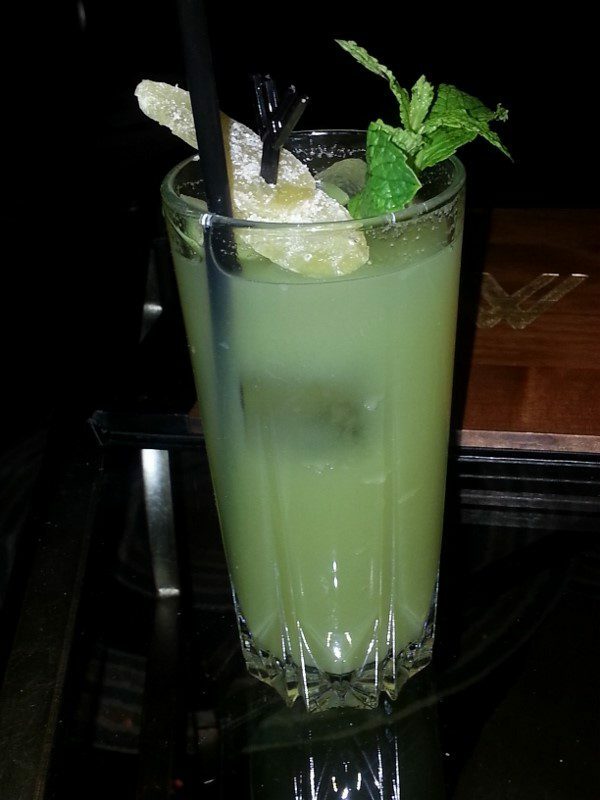 This entry was posted in Cocktails and tagged Cocktails, Damian Windsor, Hollywood, Jason Bran, Warwick, Warwick LA by Allison Levine.